Dainty, handcut glass adds great depth and reflection to the Japanese chiyogami (old-paper). This petite pendant features little aqua beans against a dark chocolate background. 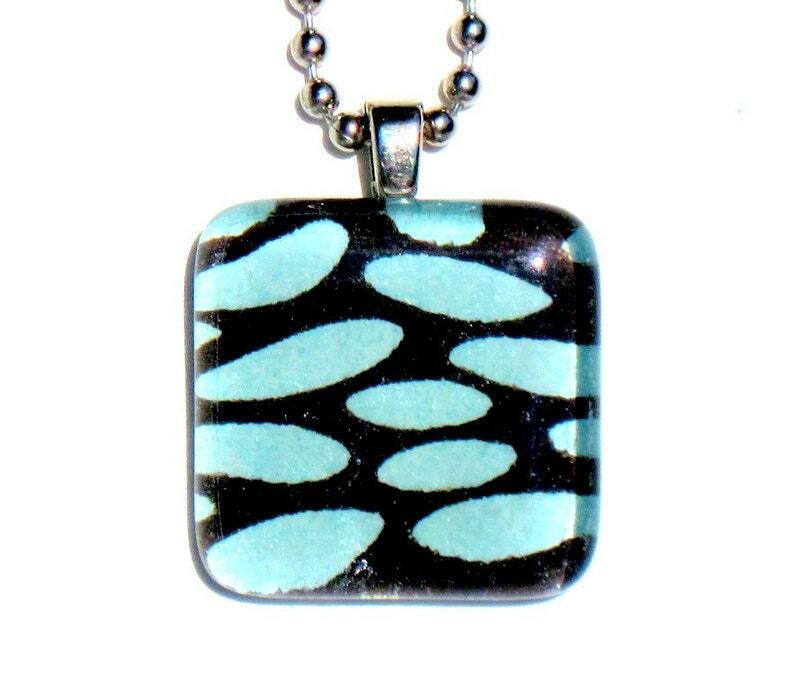 The glass tile measures 7/8" square x 1/4" thick and comes ready-to-wear dangling on an 18" silver-plated ball chain, feeling light and comfortable around your neck. This necklace comes beautifully tucked away in a coordinating gift tin.